Stage vet Simon Jones will join the company of Claire Van Kampen's new play Farinelli and the King on January 9, 2018 in the role of John Rich. Original cast member Colin Hurley will play his final performance on January 7. 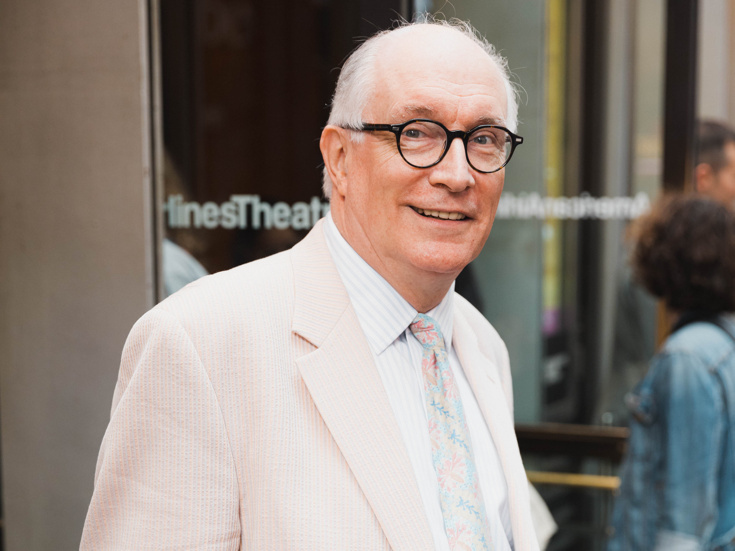 Simon Jones' extensive résumé includes the original Broadway production of The Real Thing, along with performances in Benefactors, The Herbal Bed, Waiting in the Wings, Private Lives and Blithe Spirit. His off-Broadway credits include Long Island Sound, Cocktail Party, Home, Privates on Parade and Death Takes a Holiday. Farinelli and the King follows King Philippe V of Spain (Mark Rylance), plagued by insomnia, lying awake in his chamber. The Queen (Melody Grove), desperate for a cure, hears of Farinelli (Sam Crane), a castrato with a voice so divine it has the power to captivate all who hear it. Philippe is so astonished when Farinelli sings that he begs him to stay. But will Farinelli, one of the greatest celebrities of his time, choose a life of solitude over fame and fortune in the opera houses of Europe? The principal company of Farinelli and the King also includes Huss Garbiya as Doctor José Cervi, Edward Peel as De La Cuadra, Lucas Hall as Jethro and Grammy-winning countertenor Iestyn Davies as the singing voice of Farinelli. John Dove directs the play, which began previews on December 5 and officially opened on December 17 for a limited engagement through March 25, 2018.